It has been a while since I've posted an interview with one of my triathlete friends, but I'm here with my friend, Garry. Garry is a lovely, inspiring man. He has a kind soul and relentlessly pursues his goals, despite setbacks along the way, with passion and courage. 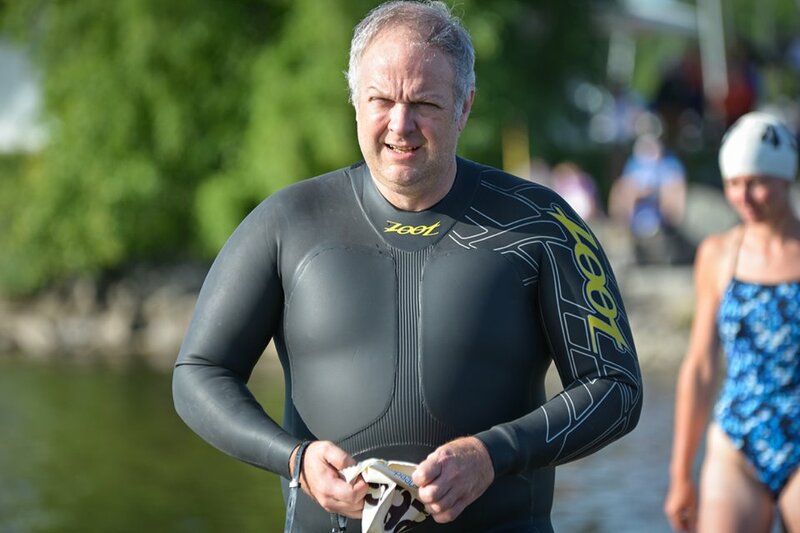 I met Garry when I first joined the Ottawa Triathlon Club's triathlon training program. During the winter of 2014, I would stop in to the Monday night TTP class for an extra ride, since back then I basically refused to use my trainer. Garry kept us all entertained and I quickly learned that he was a really special person. At the moment, he is working on recovering from a few different injuries with the goal of completing an Ironman next summer. I'm always inspired by Garry and I am certain that you will be too! Hello everyone, nice to meet you! My name is Garry and I'm a work in progress! I was born in Fort Rucker, Alabama; my father was in the Canadian military doing helicopter training at the time. I spent the first 10 days of my life in a dresser drawer because my parents didn't have a crib for me. To this day, I believe they kept the dresser drawer shut most of the time. To those who know me I think this explains a few things, wouldn't you agree? Professionally, I became intimately involved with the internet around 1990 when I lost the capability to speak. At the time I was working for the Royal Bank of Canada. After months of self directed internet research, and 23 specialists later, a doctor confirmed my findings. I was given a diagnosis of Laryngeal Dystonia, a rare neuromuscular disorder which affects less than 50,000 individuals in North America. I had to find a way to support myself that didn't require speech. So I turned to the internet and taught myself to code. I also completed my Masters degree online. Along the way I've developed websites and web applications reaching users in 19 countries and 14 languages. Today I'm the Founder & CEO of QuickSilk, an Ottawa based Software as a Service (SaaS) Content Management System (CMS). Growing up I played a lot of recreational sports, along with competitive volleyball (Canadian Juvenile National level) and rugby (Regional level). I basically did every sport you could imagine that didn't require excessive amounts of running, swimming or biking - d*mn those endurance sports. In my thirties I became passionate with the sport of power lifting ('cause power lifters can have bellies!). Three weeks away from my first competition, and after 18 months of intensive training, my right foot slipped off a platform while I was lifting 805lbs, doing standing toe raises. I tore a muscle along my spine and sublimated 10 discs (4 in my neck and 6 in my back) which prevented me from competing. My doctor asked "Why are you lifting such heavy weight at 38 years of age," because I can I replied. "Not anymore," he said. And that was that. The recovery process took more than three years. After my recovery, and a self-imposed hiatus from exercise, I needed a new sport. I started triathlons as a young man at the age of 52. I don't have a typical race or distance, though I seem hell bent on completing an Ironman distance race. 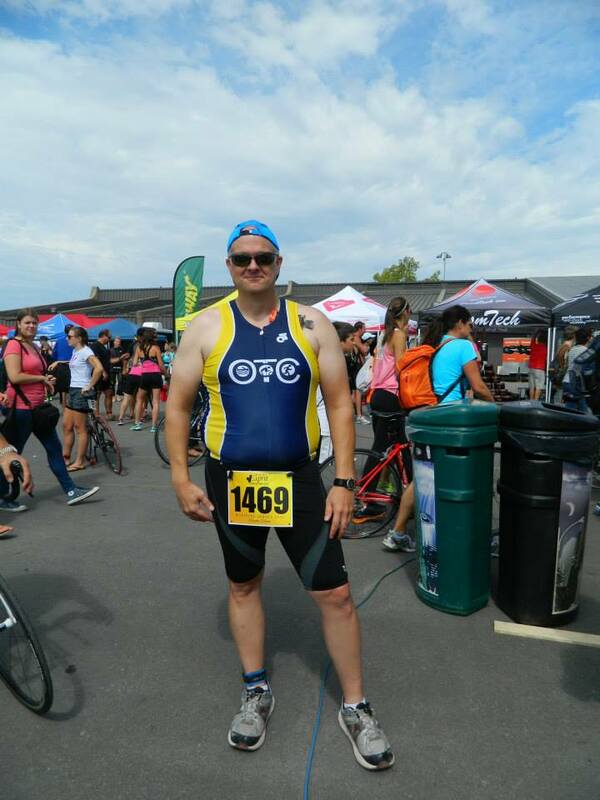 I blame all my inspirational friends at the Ottawa Triathlon Club, regardless of the distances they race, for my triathlon related obsession. I'm passionate about and thoroughly enjoy my career, but it involves a lot of time in front of the computer. As a result, I had poor eating habits, poor sleeping habits, was lethargic and wasn't doing any form of exercise. I gained a lot of weight over the years and found myself at a body weight of 292 pounds. Having been a power lifter for many years, weighing in at 252, I have to admit I wasn't initially phased at a weight gain of 40 pounds. I made a decision to start my journey back to health in 2011, and started working out at Greco (Kanata). I quickly dropped 30 pounds. During my time at Greco I started working with a personal trainer (Adam Bracken) and met Natalie Cayer Pilon and Brent Pilon when we used to share a room during our personal training sessions. 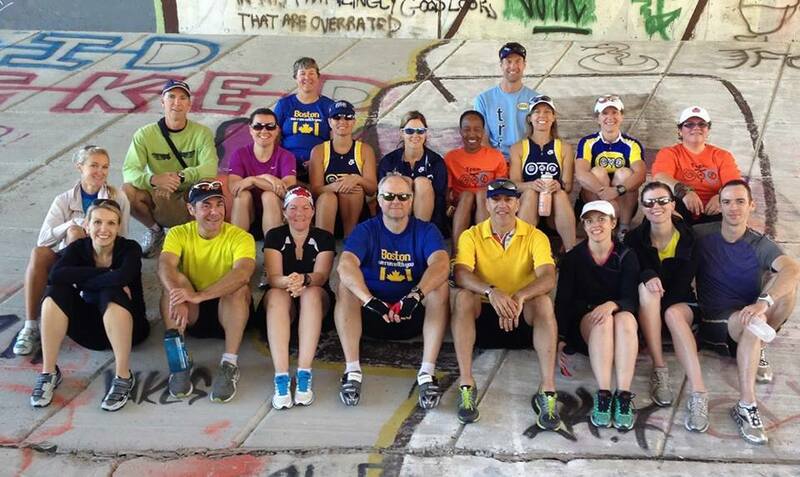 introducing me to the most wonderfully amazing group of amateur athletes I've ever met at the Ottawa Triathlon Club. Don't measure or compare yourself to others. We all have different physical and psychological makeups. We all come into the sport with varying levels of experience, or no experience at all, with swimming, biking and running. As a first time triathlete none of this matters. What matters is that you enjoy your first race and the training leading up to your first race. Enjoy being present in the moment and fully embrace the spirit with which fellow participants (pros and amateurs), volunteers and event organizers will support you through simple words and acts of kindness and encouragement. Triathlons really are a unique and rich personal experience. Being a triathlete is a journey not an event! My proudest moments are watching my friends and fellow triathletes realize incredible mental and physical outcomes, in pursuit of their individual journeys. The back story of so many triathletes is simply amazing, and there are so many sources of strength and inspiration to be found in this sport - it's infectious! The first challenge was health related. Although I was working out religiously I had stopped losing weight and I sensed something was out of whack. Blood work and a battery of tests confirmed my suspicions. Three months into the sport I was given a diagnosis of intermediate to advanced prostate cancer. I was told to stop my triathlon training. I made a decision to continue with my training and further improved my eating habits and sleep patterns. 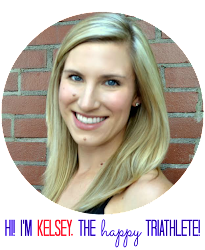 I chose a completely natural course of treatment with an amazing Naturopathic doctor (Dr. Maureen MacDonald), and did a lot of spiritual healing, energy healing and Reiki with Kelly Sabara. I spent 20-30 hours a week hooked up to an IV of high dose vitamin C and did my work and training in between. In six months there was no further indication of a tumor. wonderful aspects of my life and spiritual being. No one at the OTC knew what was going on at the time, aside from Coach Geordie who had been sworn to secrecy. My fellow triathletes at the OTC unknowingly played a huge role and were accomplices in my recovery, for which I'm forever grateful. The OTC, my triathlete friends, and the experiences we share help ground me! composition. It's no longer about a specific number for me, it's about a healthy weight that supports my goals. Running is a challenge for me, as I suspect it is for most individuals of a larger frame. Psychologically, it's the discipline that challenges me the most. My self-talk now centers around running as the discipline where I can realize the most growth. work in progress for me, as I don't tend to do anything half-hearted. In 2014, my second full year in the sport) I over trained preparing for the Kona half ironman and Ironman Mont Tremblant; as a result I had severe muscle cramping throughout the season, which impacted my participation at both races. As a result I've had to take a step back in order to recover and take the next step forward. In that light, I feel it's important to state that I don't regret a single challenge that has been gifted to me, for there was a lesson to be learned. Each challenge has made my life rich beyond compare and reflects that I remain a work in progress. Those who have known me the longest (prior to my tri days), know me as quiet, reserved, introverted, and shy. I can hear all my OTC friends now saying yeah, right! Were calling bullsh*t on that one! But it's true. When combined with my speech disorder, that I've always been deeply self conscious of, I tend to enjoy my own company. My triathlete friends seem to have a knack for pulling me out of my shell; and today I'm a willing participant. I still not super comfortable talking in public, but I'm growing past that self-imposed limitation. So, it's the people that fill with my journey with friendship, laughter, encouragement and support that make this sport so rewarding. opportunity to pay-it-forward and be of service. Today I act as a mentor with Imerman Angels, an organization that provides free one-on-one support to individuals and families dealing with cancer. I made this connection through a new and dear friendship I made with Brent Smyth, a member of the OTC. 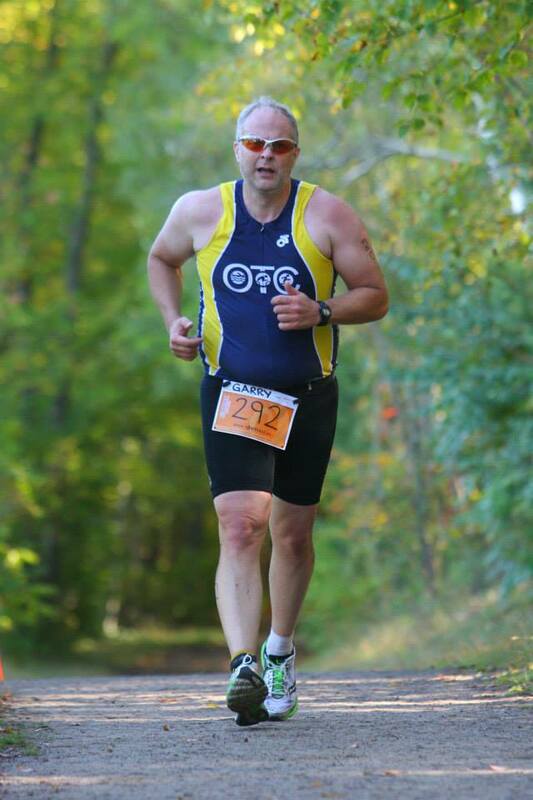 Brent recently became the Ottawa Ambassador for Imerman, because of his tireless efforts for others. He is a gift! I am also deeply inspired by many friends from the OTC who have shared their personal stories with me. Their stories are not mine to tell, but they have made a lasting impact on me and those around them - whether they realize it or not. Any race, and every race, I do with friends! 1. Favorite pre-race meal: Food! Ok, I'm still working on this one! :-). 2. Favorite pre-race ritual: Chill'in with friends and fellow participants. When I first started in the sport, I would have said Bike, Swim, Run. Since then I've become completely enamored with outdoor (open water) swims, especially my training swims at Meech Lake. Nothing replaces being embraced by the natural beauty of the open water swim and the connection to nature.. .... so today I'll say Swim, Bike, Run. As you can likely tell by now, I have a few.